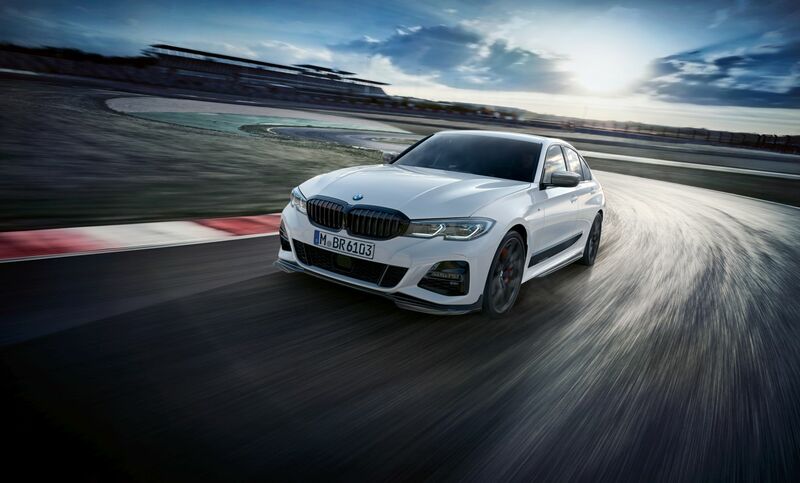 BMW took us by surprise last week when, after having just taken the veils off the brand new G20 3 Series in Paris, they almost immediately published a full press kit and photos of the M Performance Parts for the new sedan. Usually the Germans took some time before showing us their official tuning bits but this time things did not go down that way. That shows exactly how much hope BMW has in its M Performance division and how much money there’s to be made out of it. After showing you the complete kit as soon as it was unveiled, it is now time to take a closer look at how everything comes together as a package on the new 3 Series. The video below shows the car from every angle and even lets us hear its exhaust, albeit not for long enough. The entire M Performance kit is installed on the white 3er in the footage below, including the controversial side strips which have no practical use but are just there to ‘look good’. Even that last point might not be true, if you ask some BMW enthusiasts, who might find it’s actually making the car look tacky instead. 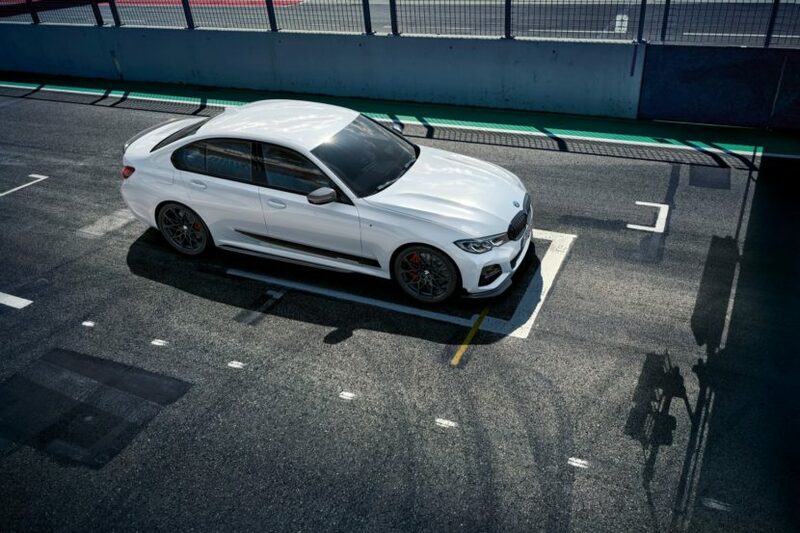 The varied package of M Performance aerodynamic and exterior components for the new BMW 3 Series Limousine comprises no fewer than ten items. There are various splitters available both for the front end and the rear end, a new set of wheels, new brakes, mirror caps, and even M Performance tire bags, to make sure your wheels are properly stored during winter time, if you don’t want to ruin them by using them in the snow. The video doesn’t go over the bits available for the interior for some reason. Therefore, I shall remind you that if you want M Performance inside as well you can get an M Performance steering wheel, carbon fiber shift paddles, carbon fiber dash trims and M Performance floor mats among other things.